A stunning center piece. 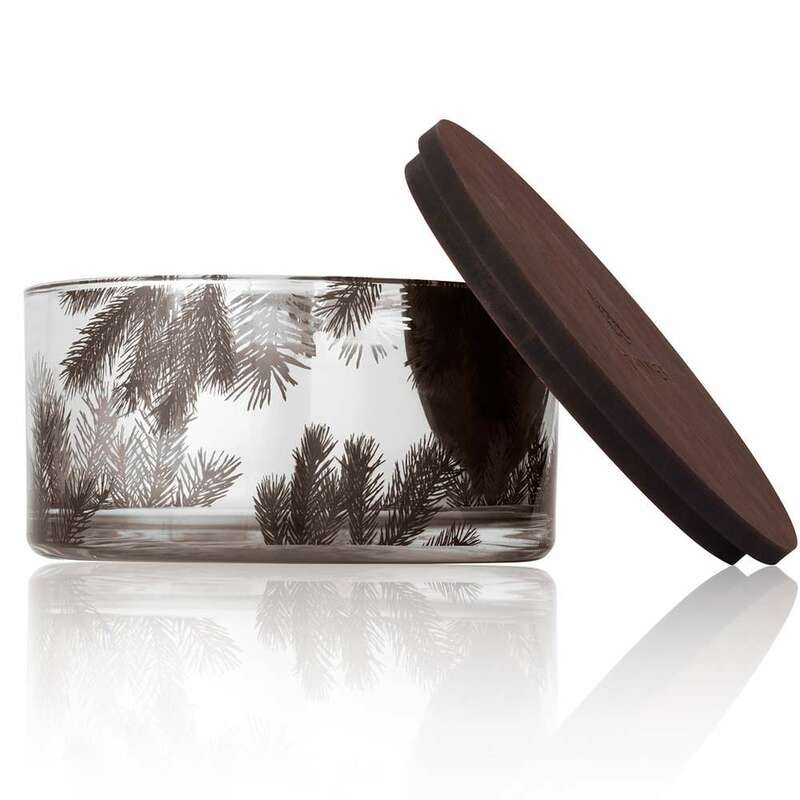 The four wicks on this Frasier Fir candle will fragrance a very large room with ease, and create a very dramatic effect. 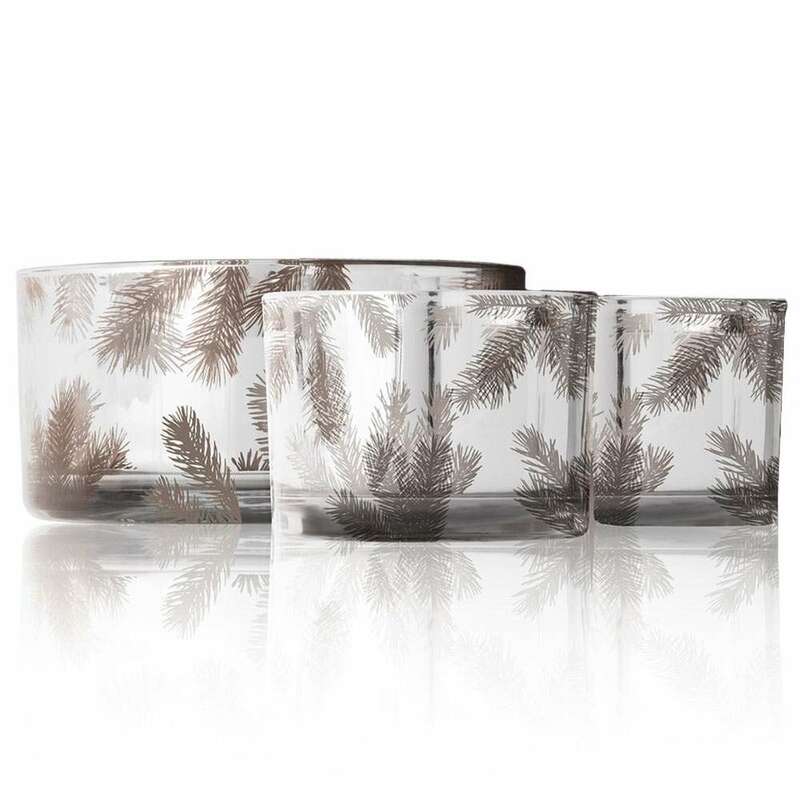 The mirrored silver glass with a pine needle motif will illuminate and flicker with every flame movement.